When it comes to the modern world of dentistry, there is some good news – research shows that the number of teeth Australians are retaining into old age is increasing. However, the issue of oral health is not all smiles-unfortunately as the time frame increases so do the likelihood and frequency of dental problems. So, what are the most common dental problems in adults? One of the more common dental issues is periodontitis, which is also known as gum disease. Periodontitis is the inflammation of bone and dental tissue caused by bacteria, and it can affect connective tissue (the gum and ligaments) and the bone that supports a tooth. It occurs when ‘pockets’ or gaps form between a tooth and the surrounding gum, and in severe cases, patients can experience the extensive loss of tissue and bone, which can then cause teeth to become loose or fall out. According to the ADA, although oral hygiene has improved substantially over the last 30 years, the prevalence of severe periodontitis has increased from 5.8% in 1990 to around 7.3% in 2015. The risk of periodontitis also increases with age – according to the last National Survey of Adult Oral Health, 53.4% of people aged 65 and over had periodontal disease, compared with 2.7% of people aged 15 to 24. Older people are also more likely to experience advanced forms of gum disease, which may be due to an accumulation of risk factors and longer-term exposure to periodontal bacteria. Risk factors include diabetes, obesity, smoking and heart disease, and the length of time a person is exposed to periodontal bacteria may increase the severity of the disease. Dental cavities occur when plaque forms on our teeth and then we eat or drink foods containing sugars. The bacteria in plaque produce acids that dissolve tooth enamel, and over time, cavitated lesions (or holes) are formed. Dental caries, if left untreated, can often result in discomfort, pain, tooth sensitivity and the increased likelihood of further treatment being required such as tooth extraction or even root canal therapy. According to the Australian Dental Association (ADA), having dental caries (also known as cavities) is one of the most common dental problems in Australia today, with over 90% of Australian adults experiencing these at some point in their lives. 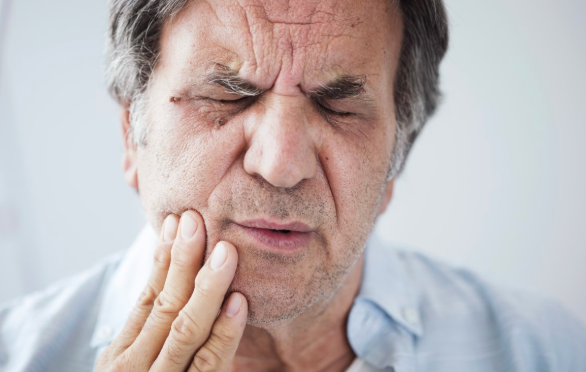 Another issue concerning oral health in adults is a toothache, which generally refers to pain in and around teeth and jaws, and if left untreated, can cause dental caries and dental decay (and unfortunately, further pain). A toothache can also occur as a result of receding gums, a cracked tooth, loose or broken fillings or a periapical abscess, which is a collection of pus at the end of a tooth that is usually caused by an infection that’s spread from a tooth to the surrounding tissues. When it comes to a toothache, it is important that the underlying cause is identified and treated, as although it’s not a medically diagnosed symptom, there is a range of health and social impacts that result that can impact on an individual’s quality of life. A toothache can disrupt daily activities including eating and sleeping and can mean sufferers go as far as avoiding certain foods and also social situations. Another one of the more common dental problems affecting adults is tooth discolouration, which can be caused by stains on the surface of a tooth or by changes occurring inside the tooth. There are three basic types – extrinsic discolouration occurs when the outer layer (or enamel) of a tooth is stained, which can be caused by smoking and by foods including wine, coffee, tea and acidic foods. Intrinsic discolouration occurs when the inner structure of a tooth (the dentin) darkens or has a yellow tint, and it may be caused by a range of things including tooth trauma. The third reason for discoloured teeth is due to age and is generally a combination of both extrinsic and intrinsic factors. Whether you are after a basic teeth whitening treatment or a total smile makeover, the process generally involves a consultation with your dentist to determine the issue and an appropriate treatment plan, which can include at-home teeth whitening solutions. One of the other common dental issues that adults can experience is teeth grinding or bruxism, the effects of which can often be most pronounced with age. Many people grind their teeth when they are asleep as a result of genetics, psychological factors such as stress, or external factors like smoking or drinking alcohol or caffeinated drinks before bed. Bruxism can result in headaches, tooth sensitivity, aching teeth and jaw and ear pain, and in the long term lead to dental problems including tooth decay, cracked tooth enamel, broken fillings and damage to existing crowns or bridges. Treatment generally includes dental repair work if needed and the provision of a special mouth guard, which can reduce the pain caused by bruxism and alleviate many of the symptoms. 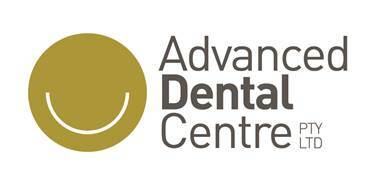 If you are experiencing any oral pain or discomfort, make an appointment with Advanced Dental Centre today!